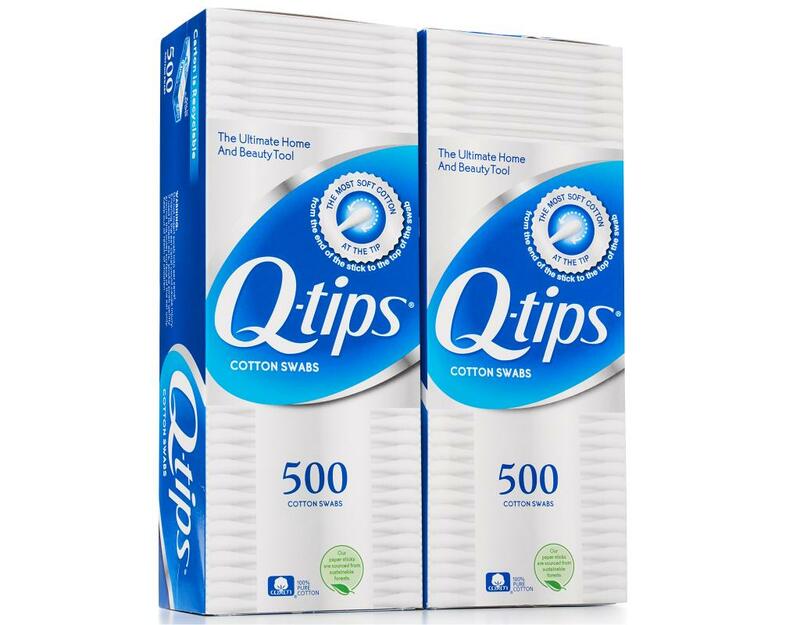 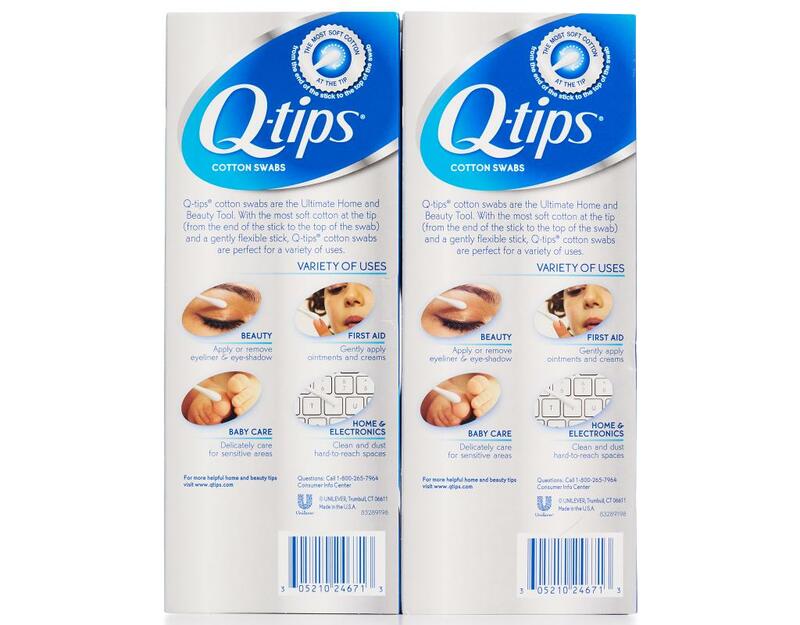 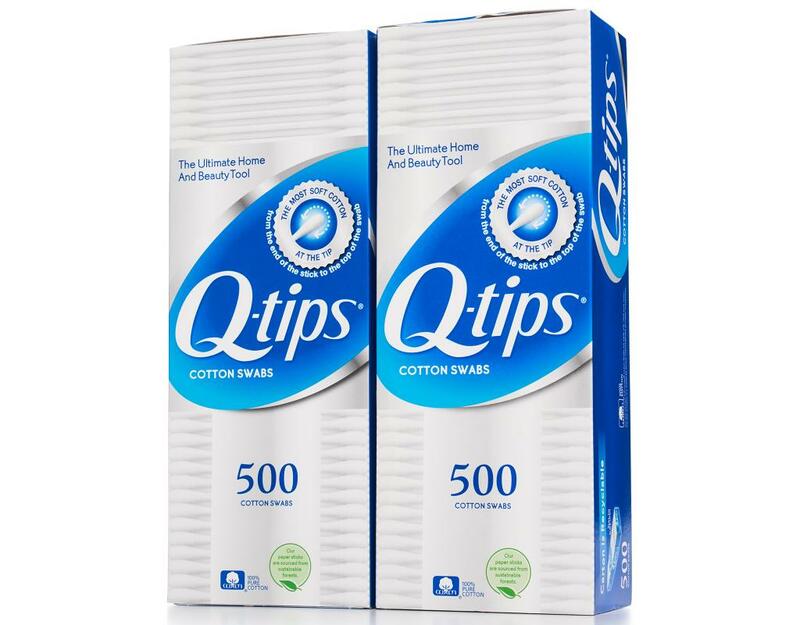 Q-tips cotton swabs are the ultimate home and beauty tool. 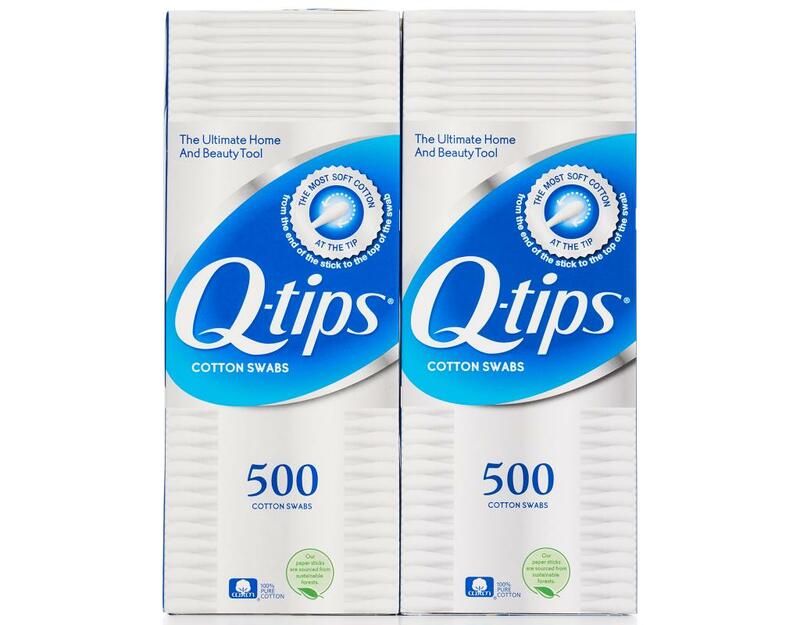 With an abundance of soft cotton at the end of each gently flexible stick, Q-tips cotton swabs are perfect for a variety of uses. Q-tip paper sticks are sourced from sustainable forests, swabs are biodegradable when composted, and the packaging is recyclable. 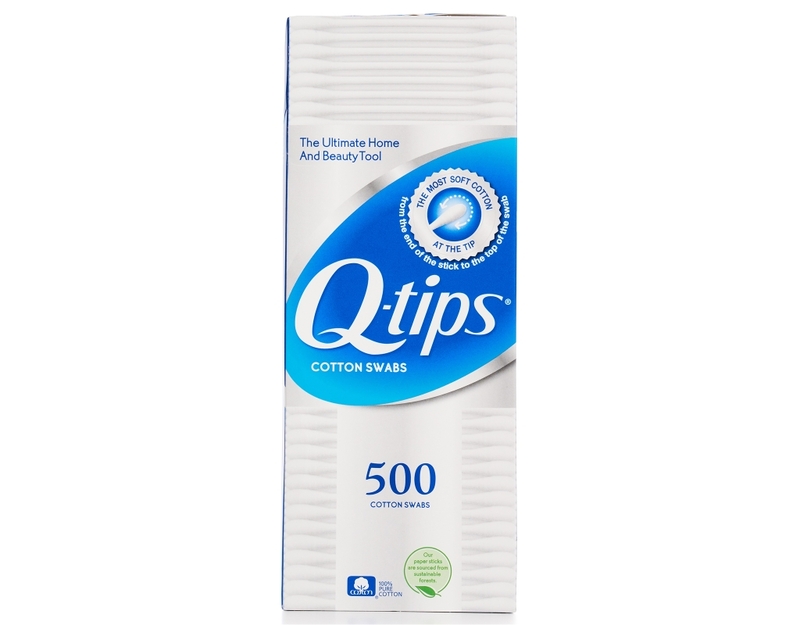 Q-tips cotton swabs are made with 100% pure cotton. 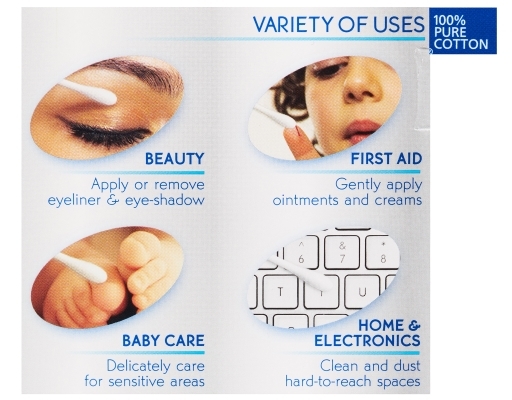 • Variety of uses, including cosmetics, baby care, pet care, arts & crafts, first aid, household cleaning and more. • Delicate enough for use on baby's skin. 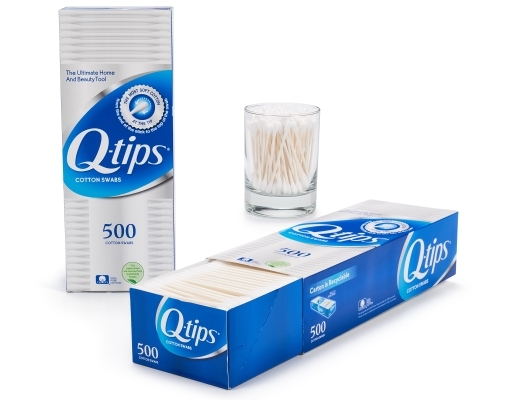 • Handy for DIY and arts & crafts projects. • Great for cleaning electronics, computer keyboards, and phone ports.